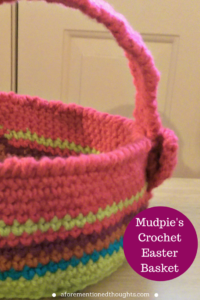 While there are many beautiful Easter baskets on market these days, I knew that I wanted to crochet Mudpie’s first Easter basket for her. I loved the idea of it being her “main gift” this first Easter and something that could be used for several years as she grew. 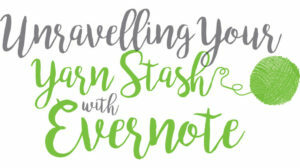 While I probably could have figured out a pattern on my own, I try to remember that it’s silly to reinvent the wheel and set out on my own Easter search. 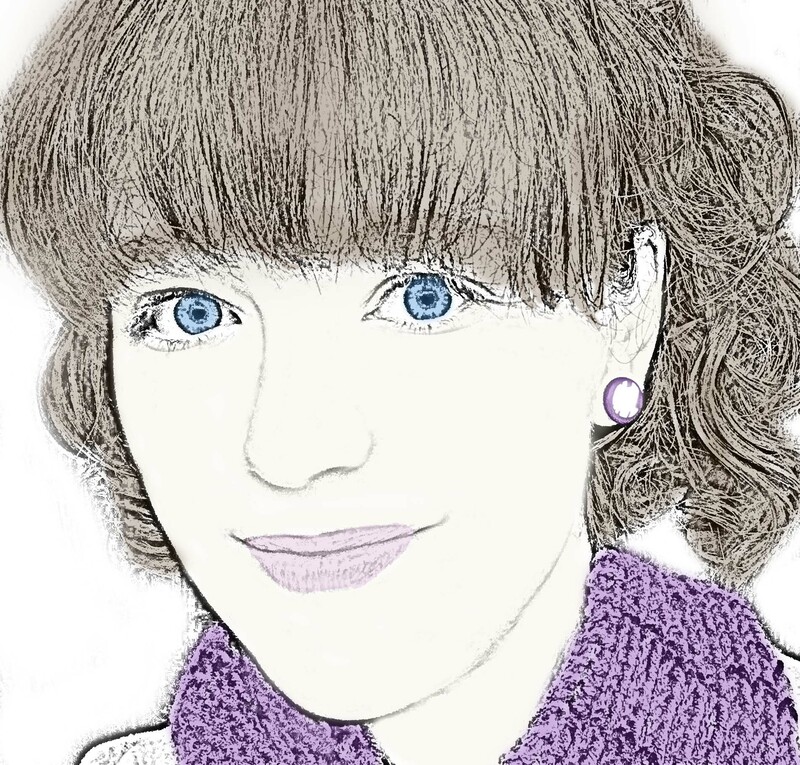 I found this adorable pattern by Jam made that was just the style I was looking for. I decided to use the yarn I had left over from her baby blanket as the color pallet. I had bought extra of each color to have for other items for her since I think it’s fun that many of her items coordinate. 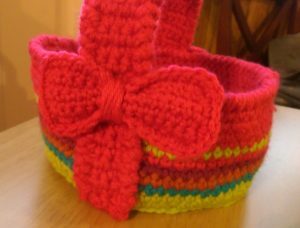 The pattern is simple and delightful to work up. I haven’t worked with two strands of yarn at the same time before, but was surprised to find that it wasn’t nearly as difficult as I thought it would be. Working with two strands created a nice and sturdy basket. The handles are sturdy too, although I find that when lifting it from the handle the basket bends just slightly so I’m thinking about maybe adding a cardboard base next year. For this year it’s fine though. I think the size works well – small but still large enough to fill with goodies or eggs. I even added an extra element not in the pattern that really pushed this project over the edge into “Love!” land for me. 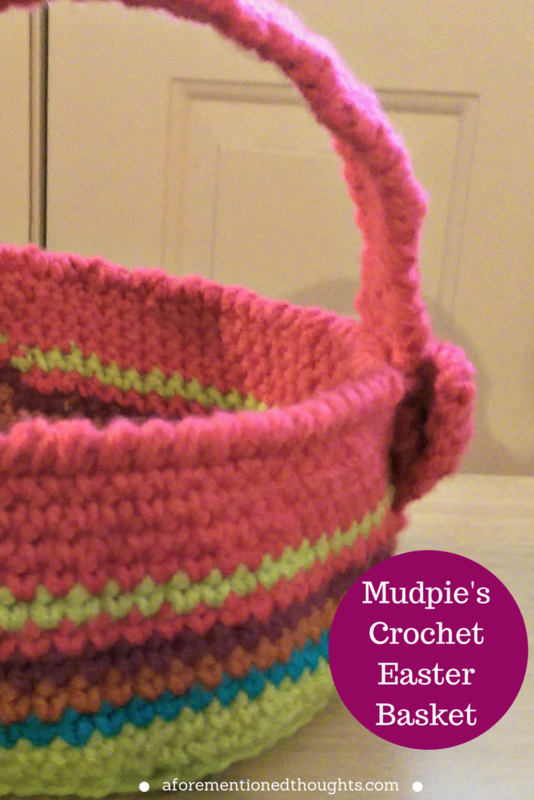 I’ll share that and what is going to be in Mudpie’s basket this year a little later in the week, so stay tuned! When I got to the stage that my friend circle began having babies, I decided I really wanted to have a standing gift that I could give to welcome all the kiddos into the world. It needed to be useful and able to be personalized for each family. And simple because, let’s face it, I don’t do well with complicated projects on a deadline and I’d prefer to give them to the mommas before the baby is born, not on their first birthday! 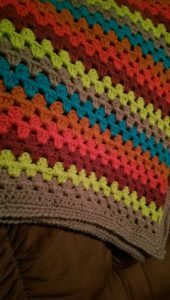 I decided on crocheting a small baby blanket that could be customized with the baby’s room colors. I make them in cotton or acrylic so that it can be used and washed. Typically I make them from the Tiramisu Baby Blanket pattern, which is a really beautiful pattern, but I have ventured into some different designs as well. 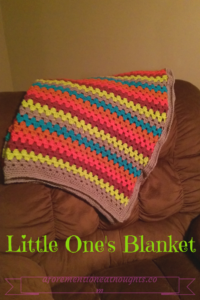 I love that I can make the blanket special for each family and pray over that child while I’m crocheting. It makes it feel like I can stitch a little extra love for them. When I found out I was expecting Little One, I knew she needed to have her own special blanket made by Mommy. I knew she would be getting several baby blankets (and she did get some beautiful ones from people who love her already) so I decided to make her a blanket that will fit her bed when she’s a toddler and will be big enough to wrap around her when she can toddle in to watch tv with Mommy and Daddy on the couch. I decided on the Granny Stripe Blanket pattern, since it was a pattern that I’ve been eying for awhile. 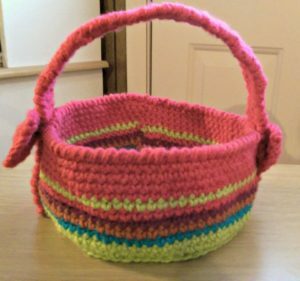 It was really a wonderful pattern and a joy to make, even at a larger size. I usually get downtrodden about halfway through big projects like blankets, but did not with this pattern. Surprisingly enough, I was even able to get this done before her baby shower! I also took my time picking the colors. 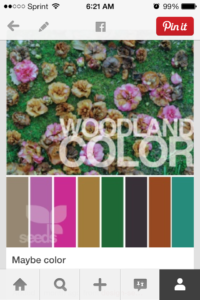 This was the first time I’ve really used Pinterest to pin color pallets and narrowing down what I wanted the feel of her room to be like. 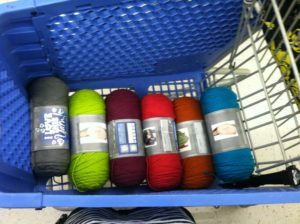 When I got word that Little One was a she, I finalized my plans and picked out the yarn at Hobby Lobby. 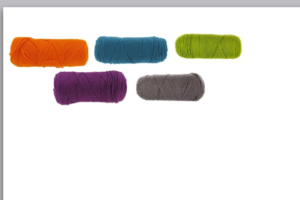 They have beautiful colors in “I Love This Yarn” that are reasonably priced and feel nice and soft. Overall I’m very happy with how it turned out. I’d like the edging to look a little smoother, but I can deal with that. I love the reverse crab stitch that I used on the outermost edging. The colors are bright and remind me of a fun woodland scene, which is what I was going for. Hopefully Little One will like it just as much!